Sporty, spacious and sleek, the 2018 Mercedes-Benz C-Class proves there's nothing as elegant as a true athlete. Muscular lines trace a body that's lean, confident and capable. A seamless flow of passion and precision describe its looks, and define its every move. Generously sized and sensuously sculpted, the C-Class cabin is a triumph of form and function. Entertainment, engagement and enjoyment flow freely from intuitive controls and vivid displays. The turbo C 300 and plug-in hybrid C 350e don't just move, they motivate with efficiency and exuberance. They don't just hold the road, they embrace® the joy to be found around every corner. The C 300's new 9G-TRONIC automatic is smoother, sportier and smarter. DYNAMIC SELECT lets you dial in the car's driving character, from energetic Sport mode to easygoing ECO. In the car or out, Mercedes me connects you to your world. Its smartphone app includes Remote Start and far more. It also brings the Internet and WiFi to your car. Five years of mbrace® Connect services are standard. C-Class safety keeps an eye on your future. Radar helps spot hazards in your path. A team of standard and optional systems can monitor all around you, alert you, help you brake, and even respond on your behalf to help reduce collisions.Sporty, spacious and sleek, the 2018 Mercedes-Benz C-Class proves there's nothing as elegant as a true athlete. Muscular lines trace a body that's lean, confident and capable. A seamless flow of passion and precision describe its looks, and define its every move. Generously sized and sensuously sculpted, the C-Class cabin is a triumph of form and function. Entertainment, engagement and enjoyment flow freely from intuitive controls and vivid displays. The turbo C 300 and plug-in hybrid C 350e don't just move, they motivate with efficiency and exuberance. They don't just hold the road, they embrace® the joy to be found around every corner. The C 300's new 9G-TRONIC automatic is smoother, sportier and smarter. DYNAMIC SELECT lets you dial in the car's driving character, from energetic Sport mode to easygoing ECO. In the car or out, Mercedes me connects you to your world. Its smartphone app includes Remote Start and far more. It also brings the Internet and WiFi to your car. Five years of mbrace® Connect services are standard. C-Class safety keeps an eye on your future. Radar helps spot hazards in your path. A team of standard and optional systems can monitor all around you, alert you, help you brake, and even respond on your behalf to help reduce collisions. The Mercedes-Benz C-Class line is a prime example of why Mercedes-Benz is considered the expert in German vehicle engineering. With excellent safety, power, efficiency, and style, the 2018 Mercedes-Benz C-Class line delivers a powerful and luxurious driving experience unlike any other. Mercedes-Benz of Lafayette is proud to offer 2018 C-Class vehicles to customers in Southern Louisiana. Learn more about the 2018 Mercedes-Benz C-Class as well as other new and used cars we have in our inventory. When you’re ready, come down to our showroom in Lafayette, LA, and take a test drive in any of the fine examples of luxury and innovation we show you. Whenever Mercedes-Benz releases a new model year, it’s everything you expected and more. The Mercedes-Benz 2018 C-Class line incorporates new features and innovative engineering without taking away dependability and efficiency. The 2018 C-Class has it all: power, performance, safety, and best of all, the exceptional drivability that has customers coming back year after year to Mercedes-Benz vehicles. Whether you opt for the sporty coupe, a convertible, or the practical (but still exciting) sedan, the C-Class line has all the features you want and more. Fans of the C-Class line will remember that it’s only three years removed from a complete redesign. Now, the vehicles are optimized in appearance and performance. All C-Class sedans come with a power moon roof, the coupe has a backup camera, and C-Class 350e hybrid models have LED headlights. These amazing features now come standard at the lowest price point. 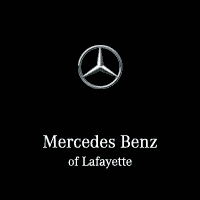 Whether you want a coupe, sedan, or a convertible, Mercedes-Benz of Lafayette gives you options for vehicle size and function. Whether you want to safely take the kids to school or feel the wind through your hair while driving on the highway, you’re sure to find the perfect model that suits your style and your life. Vehicles from the 2018 Mercedes-Benz C-Class line are a great option both for devoted Mercedes-Benz owners and first-time buyers. In fact, in car circles, a C-Class model vehicle is known as the beginner’s Mercedes-Benz because its easy functionality makes it accessible to both expert and novice drivers. The 2018 AMG® models come equipped with an update to the AMG® system, with the addition of a standard AMG® Track app. Mercedes-Benz 2018 C-Class sedans come standard with 17-inch wheels, an adjustable steering column, dual-zone climate control, power wipers, simulated leather upholstery, and folding rear seats for added space and comfort. Mercedes-Benz 2018 C-Class coupes come with 18-inch wheels, an adjustable steering column, dual-zone climate control, power wipers, simulated leather upholstery, and folding rear seats for added space and comfort. Both the sedans and coupes offer impressive technological features, including the innovative COMAND® information and entertainment dual-system, Bluetooth® connectivity, a 7-inch display screen, HD radio capability, a CD player, SD reader, and USB ports. In addition, all C-Class convertibles come with the option to upgrade the sound system. These standard features and amenities make C-Class cars accessible to anyone looking for a Mercedes-Benz that’s easy, safe, and exciting to drive. Optional features include push-button start, blind spot monitoring, keyless entry, and parking and driving assistance. The innovative Mercedes-Benz 2018 C-Class models give you both the power that you want and the highest degree of safety that you deserve. Once you drive a C-Class vehicle, you’ll know why Mercedes-Benz is an established leader in automotive performance. Under the hood, the 2018 C 300 (the most basic C-Class model) offers a two-liter turbocharged engine with 241 horsepower. The AMG® C 43 model offers upgraded power, with a twin turbo, three-liter engine and 362 maximum horsepower. The AMG® C 63 boasts the most power, packing 503 horsepower in its sleek frame. The exciting power of the 2018 Mercedes-Benz C-Class doesn’t mean you sacrifice on safety. The NHTSA has given the C-Class a five-star safety rating. In addition, the C-Class is an IIHS top safety pick, meaning that you’ll be as safe driving down the highway as you will be traveling to and from work each day. Ready to start shopping for a new Mercedes-Benz C-Class? Mercedes Benz of Lafayette can help. Visit our showroom in Lafayette, LA, today for a test drive! Contact us for a test drive.